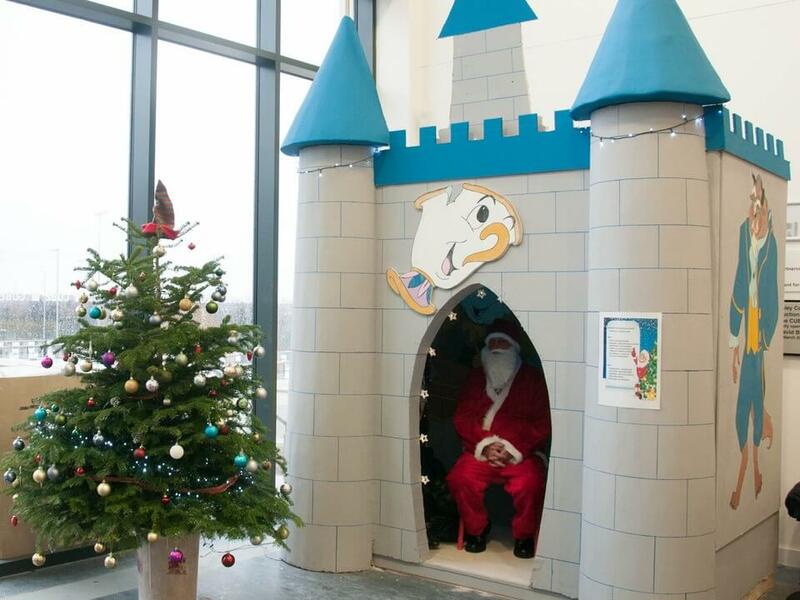 Disney themed Santa’s grotto designed, built and painted by the College’s students and staff. 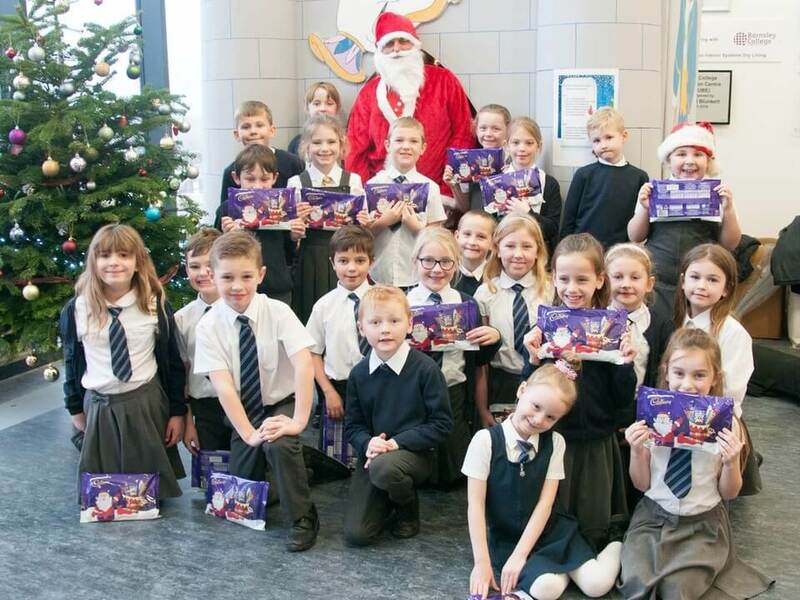 Forty pupils from Burton Road Primary School have visited a Disney themed Santa’s grotto. 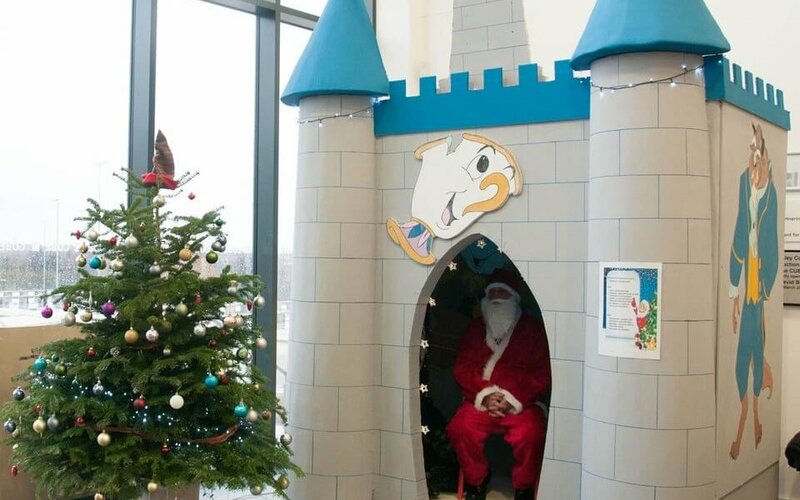 The Year 3 pupils were invited to our Construction Centre where they had the opportunity to visit Santa in a grotto which has been designed, built and decorated by Construction students as part of their studies. After meeting Santa, the pupils continued with the festive spirit by taking part in a number of Christmas themed activities, organised by staff and students. Pupils painted their own Christmas plaster molds whilst listening to festive music and they also took part in a game of ‘Snowball Shootout’, a penalty shootout style of game where they threw ‘snowballs’ at Rudolph and Santa. 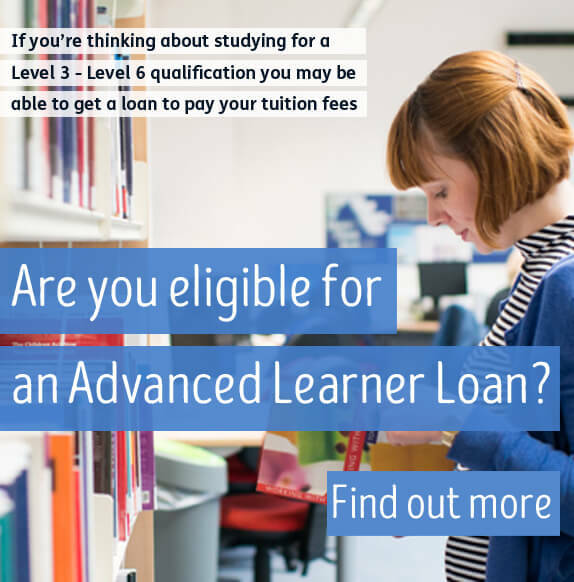 For more information about our Construction courses, visit our Construction page or come along to the Open Day on Thursday 1 February, 6.00pm to 8.00pm.